This blog was started in 2006 on Yahoo 360 platform, which is no longer run by yahoo, I have used it to publish bits and pieces of various discussions that took place in e-mail and share photos, personal observations and such, may it be of some benefit, it was and is meant well! The handle used on yahoo is a last line of so called “Immutable Seven Line Prayer” (To Guru Rinpoche, the Padmasambhava): Guru (Master) Pema (Lotus) Siddhi(Accomplishments) Hum(Petition for, as in “Please Bestow”), so Gurupemasiddhihum. February 22, 2006 This is going to be 1st entry into this blog. I plan to post pictures and quotations, as well as some narrations if time permits. By posting all of this I realize that none of this material belongs to me or would be taken as something that I understand better then others or at all. If I am at fault of using any of this improperly, it is my fault alone. If at any point any one would like to contact me regarding any matters associated with this blog or any other issue that may arise, please feel free to do so. May we all realize 2 purposes of benefiting others and our selves without even as much as a hint of self-importance. We have been instructed to send out the following update as to the condition and health of His Holiness Penor Rinpoche. This email is slightly different from that sent to the general public. We wish to inform you that His Holiness Penor Rinpoche has been admitted to the Intensive Care Unit at Columbia Asia Hospital in Bangalore on March 24, at 3 AM. Health care arrangements for His Holiness are under the constant supervision of a Western-trained physician, and the condition of His Holiness has somewhat stabilized. Since we last wrote to you six weeks ago, His Holiness’ condition has fluctuated with some good days and some less so. Please rest assured that all new information regarding the condition of His Holiness will be communicated as swiftly as possible. There is no need to contact the monastery, as any updates will be sent via email as soon as it is needed. On the 25th of the First Month, March 21, the entire Palyul Namdroling Sangha gathered to conduct prayers for His Holiness long life and return to good health at the monastery. 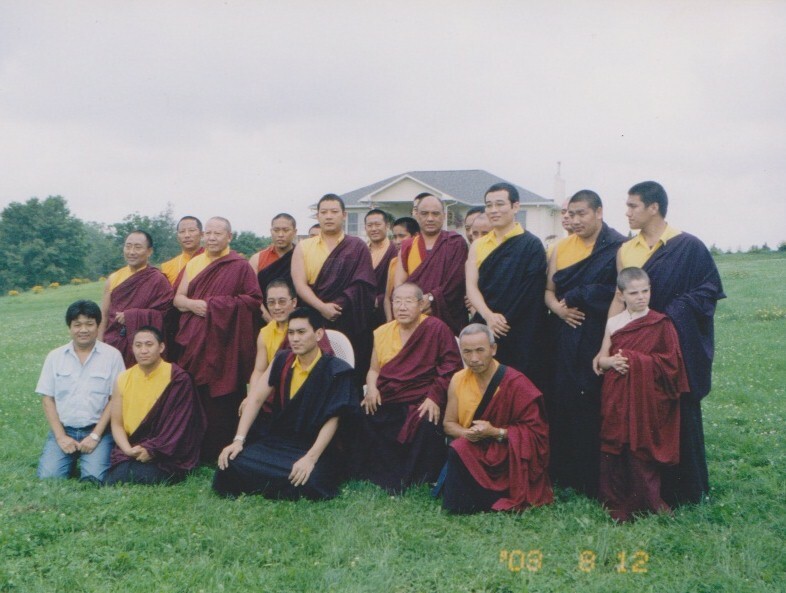 Those stationed abroad returned to the monastery to join in this practice and many monks and nuns worldwide also participated. On the first day of the Second Month (27 March, 2009), many of the highest Nyingmapa lamas will join the Namdroling sangha to continue with beneficial practices determined by divination. Among those who have indicated they will attend are Dzogchen Rinpoche, Dzongsar Khyentse Rinpoche, Minling Khenchen Rinpoche, Ralu Rinpoche, and Ringo Tulku Rinpoche. For close students, it would be quite good if you could stay home from work on this day, or gather together in a harmonious fashion at your local dharma center, to practice. For those of us who cannot stay home or join with others, please don’t worry but just keep the mantras lightly in mind while engaged in daily activities. All of us will dedicate our practice to the long life of His Holiness, and for the benefit of all sentient beings. Chatral Sangye Dorje Rinpoche has advised the repetition of 10,000,000 recitations of the Riwo Sangchö practice. Currently, monks at Namdroling monastery are carrying through with this practice. Vajrasattva practice is also quite good, but our main focus should be on Riwo Sangchö. All of the high lamas have indicated that a positive result is very much dependent on us, the students of His Holiness. It is very important to keep in mind our connection as a global sangha community, to put aside past disagreements and not to engender any new ones. We have been reminded that our pure Samaya needs to be maintained at all times, not only in the presence of His Holiness or the precious teachers who instruct us. We should especially refrain from speculation and any form of gossip, particularly with respect to the condition and medical treatment of His Holiness. As His Holiness has taught us, we should keep our minds in a relaxed state. The greatest offering we can make for our Tsawé Lama is our love for one another as a family, while maintaining pure samaya with our blessed teacher, His Holiness Penor Rinpoche. Through our practice and the healing of our connection with one another, may the light of the Dharma grow as strong as possible, and may the good health of His Holiness swiftly return! 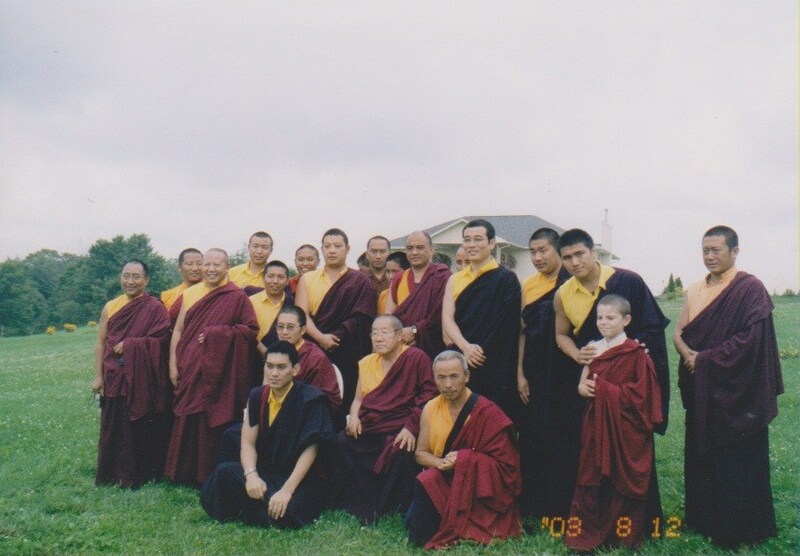 Please do forward to close students of Palyul so that all may join together in practice now. Public display of His Holiness Penor Rinpoche’s body and receiving blessings will be allowed in the ground floor of Zangdog Palri Temple of Namdroling Monastery on 9th April 2009 (Full moon day of the second Tibetan month) after the completion of thugdam and ablution rituals. However, if the thugdam continues beyond the expected time, the dates for public display maybe postponed. The annual Palyul Summer Retreat for 2009 from July 10 to August 10 in New York Upstate, US, will be conducted as usual under the guidance of HH Karma Kuchen Rinpoche, HE Gyangkhang Tulku Rinpoche, HE Mugsang Kuchen Rinpoche and Khenchen Tsewang Gyatso Rinpoche. Details of the retreat announcements will be posted as soon as His Holiness Karma Kuchen Rinpoche arrives in Namdroling Monastery. 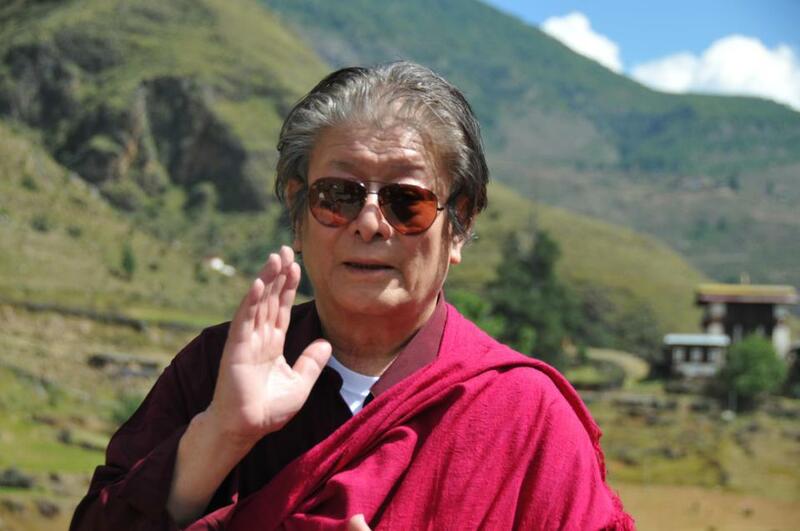 His Holiness Penor Rinpoche remained in thugdam for almost eight days. This morning [Friday, April 3, Indian time] he released his meditation. Now we are preparing to preserve his body for some time so that the public can pay their respects and receive his blessings. We, the board and faculty of the monastery, have announced that the blessing ceremony will begin on the 9th of April with rituals and a ceremonial procession to carry Kyabje Penor Rinpoche’s body into the Zangdok Palri temple at Namdroling Monastery. It is expected that His Holiness’ body will remain in the temple for a month. We welcome all of our Palyul students, Dharma friends and benefactors who wish to come for this ceremony or afterward to receive Kyabje Penor Rinpoche’s blessings. The annual summer retreat for 2009 in the United States will be conducted as usual under the guidance of H.H.Karma Kuchen Rinpoche, H.E. Gyangkhang Tulku Rinpoche, H.E. 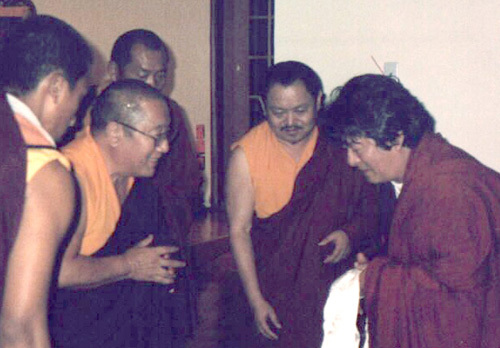 Mugsang Kuchen Rinpoche and Khenchen Tsewang Gyatso Rinpoche. The details of the retreat will be announced soon in our Palyul website. His Holiness Penor Rinpoche’s Ku Dung (holy body) will be kept in the Zangdokpalri Temple on the second floor for one year so that all Palyul students from all over the globe can have the opportunity to pay their last respects and receive blessings. On the 22nd of May, Namdroling Monastery will offer a big puja as it is the 49th day ceremony of Holiness’s Maha Parinirvana. Those wishing to visit can check here for information for visiting, but in this case many of the requirements have so far not been enforced as strictly. Write to us if you have questions. Until the 22nd, all of our Tulkus, Khenpos, Lopons, Lamas, monks, and nuns are continuously carrying through puja with the hundred deity or Vajrasattva together with the Lama Offering puja up through this 49th day. We will post an update with the detailed schedule if it becomes available. Mandarin and English translations of the Prayer for the Swift Rebirth of HH Penor Rinpoche are available on this Swift Rebirth Prayer Page. We are very grateful to Khenpo Tenzin Norgay and students of HE Gyatrul at Tashi Choling, Oregon for providing the English translation of the longer version of the prayer. Please note that their translation efforts are not finished, so it is best to wait before downloading and adding copies of the prayer to your practice book. When the completed translation becomes available it will be noted and posted here. The current translation was updated on April 30, 2009. Please note this prayer was updated again on 30 April, 2009 and will be updated again as the translation is perfected. The currently posted translation was carried through by Khenpo Tenzin Norgay Rinpoche working with students from HE Gyaltrul Rinpoche’s students in Tashi Choling, Oregon. From 9 April, 2009: The main events of the Procession of the Kudung are shown here. You will see the faithful lined up to watch the procession, His Holiness Karma Kuchen Rinpoche, the 12th Throneholder leading the procession with HE Khentrul Gyangkhang Rinpoche and HE Mugsang Kuchen Rinpoche securing the Kudung itself. You will also see the practice of offering khata (white silk scarf) at the conclusion of the video. This video was shot by one of His Holiness Penor Rinpoche’s Shabchi (personal attendant), Lama Rapjee Wangchuk and posted on Ustream.TV for us by Tulku Ajam Rinpoche. The full video is about 45 minutes long, but here we have a 10 minute clip. Thursday, 22 May, 2009 – On this day the Holy Body of His Holiness Penor Rinpoche (Kudung Rinpoche) was brought in a formal procession to the main temple, Ogyen Donyag Wosel Dargyeling. The procession was attended by all the Palyul Tulkus, Khenpos, Dorje Lopon, Monks and Nuns as well as by representatives from other monasteries, accompanied by the melodious sound of gyaling and other Dharma instruments. The live webcast of the puja on May 22 was webcast here, and is archived at http://www.palyul.org/broadcast.htm, or (for best viewing) at Ustream. The grand puja for the Maha Parnirvana of our beloved teacher, the late His Holiness Penor Rinpoche, was conducted in this main temple on May 22. The monastery offered a grand Tsog to all the Tibetan settlements of Bylakuppe as well as Kollegal, Mundgod, and Husur and they had all been participating for the past 49 days in the pujas that have been ongoing since the Paranirvana. In the afternoon, all devotees were able to pay their respects and receive blessings from the Kudung Rinpoche until 5 PM. After 5, we brought the Kudung Rinpoche into Zangdokpalri Temple where it will remain in the Guru Rinpoche Lakhang (shrine) and the Nirmanakaya field. The Kudung Rinpoche will be on view there for one year so that all devotees and students of His Holiness Penor Rinpoche from far and wide can come at any time to pay their respects and receive blessings. 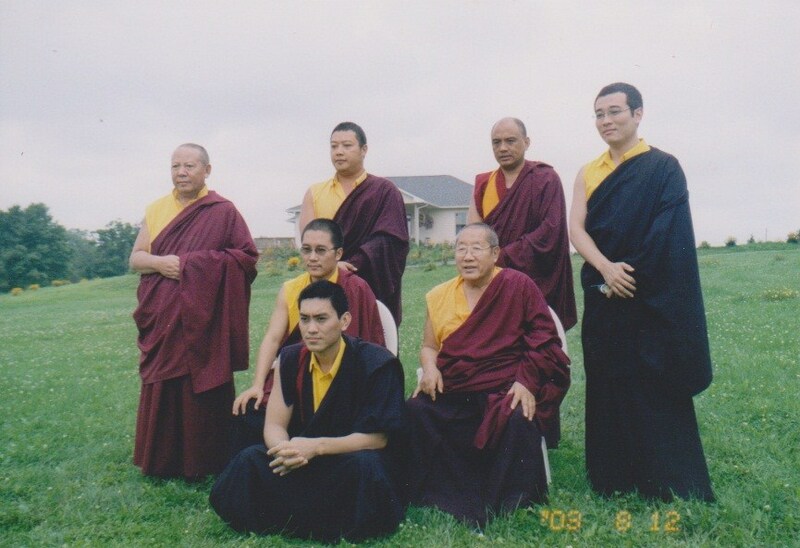 I have met Rinpoche only one time and very briefly, although I wanted to meet him for a while, it took me long time. One time I have received a word that Rinpoche has a puja coming up in the next half hour in the NYC Shambhalla Center and this is where I run very fast. During the 45 seconds that I had to communicate with Rinpoche every word carried meaning and was personal, it was just the same as meeting an old friend. After, I seem to have formed an idea that I am sure to work on for a while yet. Because even as in my case I did not have any doubt that there was great, pure being in front of me, the very presence of the Rinpoche in front was not different as standing in front of a mirror and all my confused ideation was revealed. 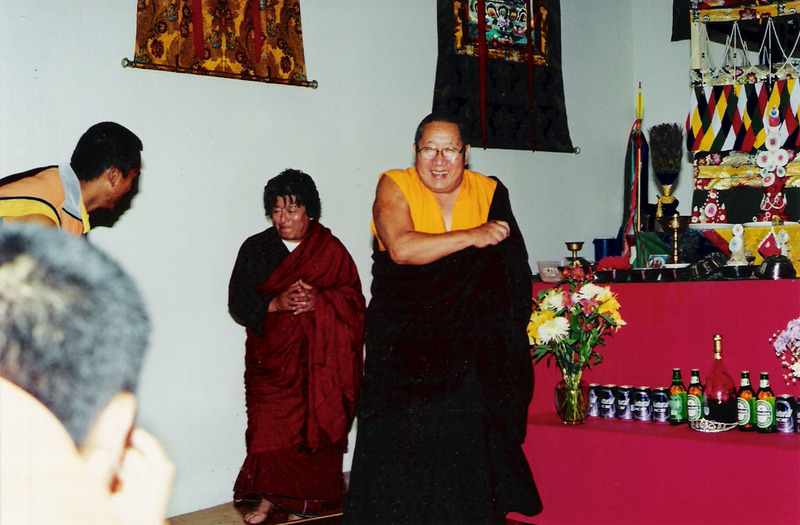 HH Penor Rinpoche (left) joyfully greets HH Dungse Thinley Norbu Rinpoche (right). These two masters visited each other frequently when residing in their US Centers. 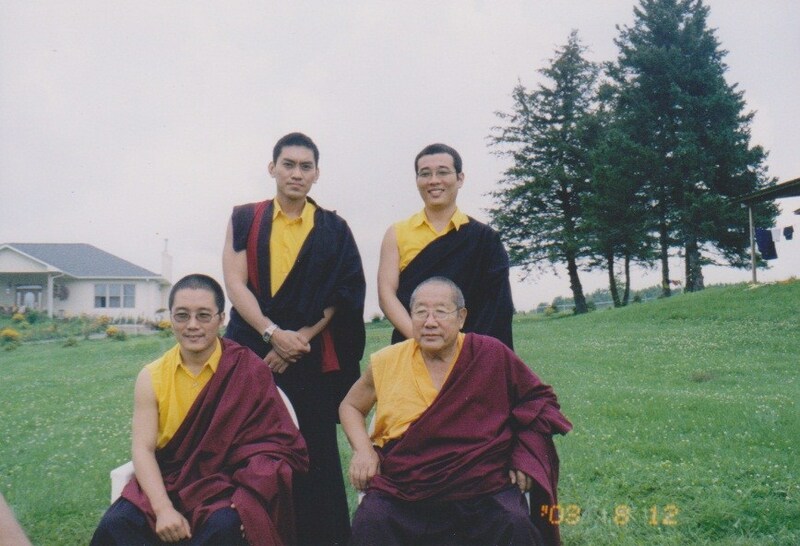 Dorje Lopon Lama Sochuk is behind HH Penor Rinpcohe, and Khenchen Tsewang Gyatso Rinpoche is center. All of the Palyul tulkus, khenpos, lamas, monks, nuns and students are deeply saddened by the news of the parinirvana of the great master of the Nyingma School, Kyabjé Dungsé Thinley Norbu Rinpoche. Kyabjé Dungsé Rinpoche entered into his final meditation (Thugdam) on the 26th of December, 2011 where he abided for seven days. Dungsé Garab Rinpoche informed His Eminence Mugsang Kuchen Rinpoche that Kyabjé Dungsé Rinpoche wanted all his devotees to accumulate the Seven Line Prayer to Guru Rinpoche and/or Vajra Guru mantra as much as possible during this time. The Sangha Community of Namdroling Monastery will perform a grand Mindroling tradition Vajrasattva Guru Yoga in front of the Maha Bodhi Stupa at Bodhgaya at the time of Nyingma Monlam Chenmo to receive Kyabjé Dungsé Rinpoche’s blessings. Many monks and nuns have already departed for Bodh Gaya and are carrying through practice there. Kyabjé Dungsé Thinley Norbu Rinpoche was the holder of the Dudjom Tersar lineage. He was a prominent modern teacher in the Nyingma lineage, the eldest son of the great teacher Jigdral Yeshe Dorje, the Second His Holiness Dudjom Rinpoche. He was the father of Dungsé Garab Rinpoche, Dungsé Jampal Rinpoche, and Dungsé Dzongsar Khyentse Rinpoche. Khyentse Rinpoche has posted regarding his father’s passing to Thugdam here on Facebook. 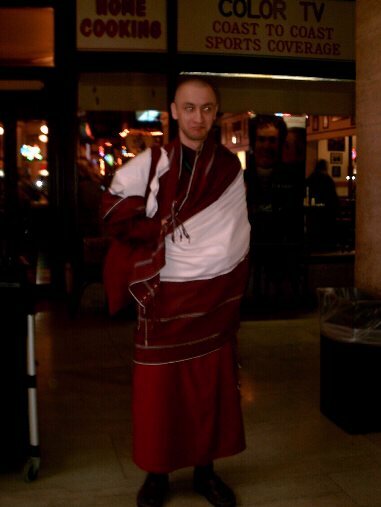 Kyabjé Dungsé Rinpoche was the incarnation of Tulku Trimé Özer, who was one of seven sons of the First Dudjom Lingpa. He was considered to be an emanation of Longchenpa. In his youth in Tibet he studied for nine years at Mindroling Monastery. His main centers are in the northern Catskills of upstate New York and in California. He wrote many books published by Shambhala, which are possible to find here. 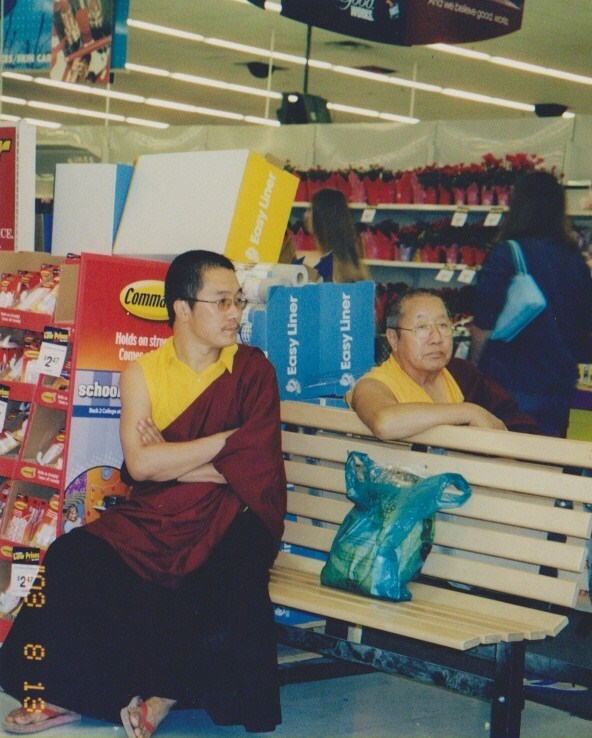 Kyabjé Dungsé Rinpoche and our late Kyabjé Penor Rinpoche had great respect and devotion for each other. These two masters visited each other’s centers in New York State on many occasions over the years. It is with heartfelt devotion and prayers that we await the swift return of our dear departed masters. May all beings benefit from the blessings of their wisdom minds! Thank you for your sympathy and best wishes at this time. We live in a world of our own making, a world built by our own unique perceptions which we believe in fully, every year, every day, every hour and every moment of our lives. Even though in reality this life is fleeting and lasts no longer than the time it takes for a spark of fire to shoot out, it is experienced by some as dragging on interminably for aeons and aeons. Yet for others, although in reality the span of this world’s existence is infinite, their experience of it lasts no longer than the blink of an eye. For some, this world is no bigger than a worm hole, yet they feel insignificant and isolated, lost in a vast and infinite void. Others perceive the world to be small—as small as an entire universe—and to them it feels uncomfortably confined and claustrophobic. Most of us, myself included, have been conditioned to live and die in a world created by our own perceptions, and continue to create conditions that will ensure we repeat this same game over and over again. Amongst myriad possible perceptions, Thinley Norbu Rinpoche is seen variously as an ordinary person, a father, a teacher and a perfect being—a diversity of perception that is the result of each perceiver’s individual merit, or lack of it. For people like me, whose limitations lead me to see him merely as my father, your condolences will be accepted as emotional support. For those of you with ‘superior qualities’—or who aspire to develop such qualities—and are able to see Thinley Norbu as a perfect being, this is yet another opportunity to shrug off impure perception and generate pure perception, so that eventually you will go beyond perception altogether. ‘Awareness’ is the quintessential teaching of the Buddha—from the awareness of cool air as you breath in and then out, to the profound awareness of natural perfection. And with boundless compassion and courage, the sole purpose and activity of all the buddhas it is to ring the alarm bell that brings us to this awareness. With enough merit, the passing of this great being can be interpreted as the ringing of that alarm bell, and a timely reminder of all the teachings, from the simple truth of impermanence, all the way up to the realization of unobstructed compassion. In this way, as much as this deluded mind of ours appreciated and valued his appearance in this world, it should also appreciate and value his disappearance. Touching as it is to hear from those who are offering various prayers, recitations, butter lamps and many other wholesome activities at this time, allow me to remind myself and all those who are interested, that none of the practices we are currently engaging in are for him, but for ourselves. However brilliantly the moon appears in the sky, if the pond is muddy, the moon will not be reflected in its waters. In the same way, it is through the purification of defilements and accumulation of merit within our own minds that will enable us, in time, to perceive a reflection of the Buddha, fully intact and never to depart. So, rather than congratulating ourselves with the thought that we have accomplished all these practices during this special time, bear in mind that we should already have been doing them—and for that matter, we should continue doing them throughout this and all our future lives. But to imagine that our practise is something like providing this great being with the ‘last rites’ is definitely not the best way to go. I have also been asked which specific practices should be done. Again, I will repeat that mindfulness, in other words ‘awareness’, is our practice. We are ignorant beings, and as such require constant reminders about the importance of making the effort to land in this awareness. Therefore all our guru’s activities—from when he yawns or coughs, to when he appears or disappears—are his way of reminding us to come back, again and again, to mindfulness. And as long as we are mindful and aware, no one practice is better than another. Written and dedicated to the enlightenment of all sentient beings in the presence of the rupakaya of Thinley Norbu.